Welcome to the MR BALDWIN STYLE blog. We have been saying for some time now that we were going to start a blog, but honestly, our busy lives as entrepreneurs and competing priorities have delayed us until now! Over the last couple of years, we have contributed to a number of blogs and publications, and even wrote a book. Now is the time! It's like the famous quote by Arthur Ashe states "Start where you are. Use what you have. Do what you can." And that is exactly what we are doing! We look forward to connecting with you all in this space to talk all things menswear, as well as a variety of other lifestyle topics (including weddings, relationships, couples working in business together, and travel). Come along with us to live our best lives and have fun while doing it! We are kicking off our blog with an editorial shoot that we had the honor of producing and styling last year. The images are being released for the first time today! Yay! 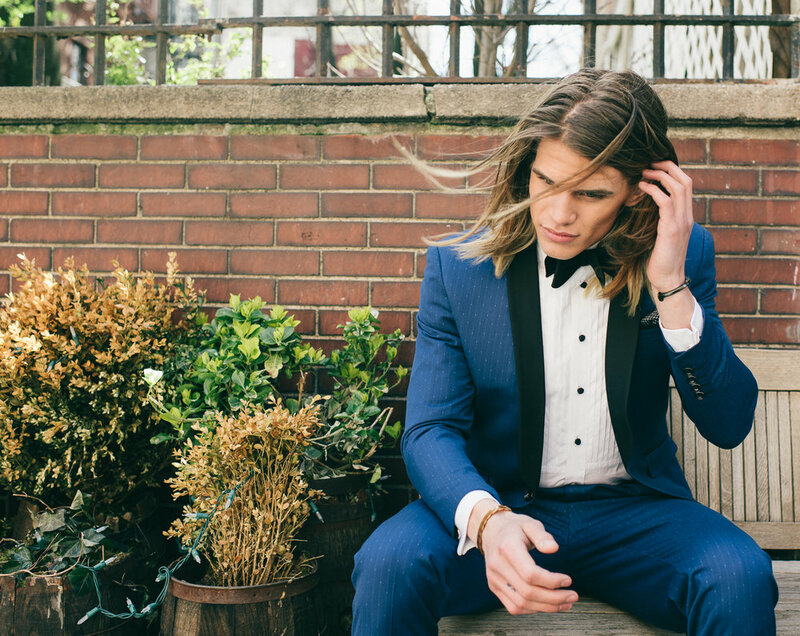 The theme of the shoot is 'The Classic Groom Remixed'. 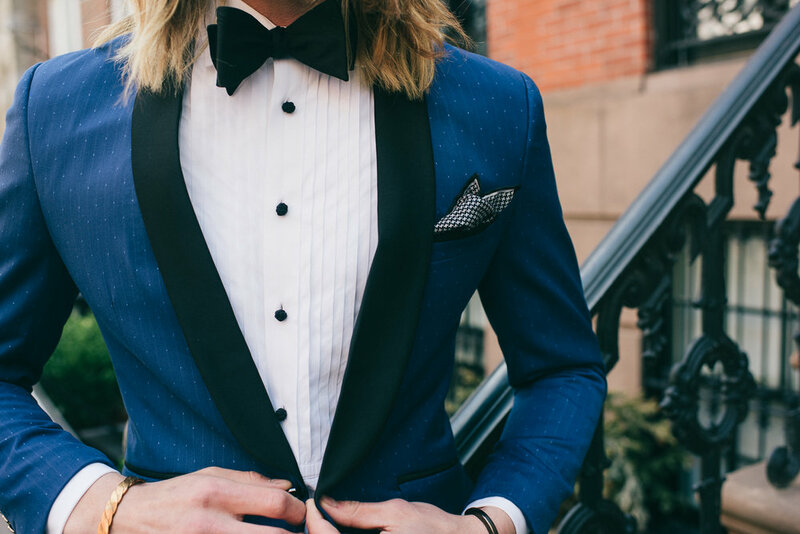 To quote our GROOMS book, the definition of 'The Classic Groom Remixed' is "the classic guy who incorporates non-traditional elements to his look. Tradition gets an upgrade. He wants remain classic and timeless yet also appreciates a bit of flare to his wedding look." 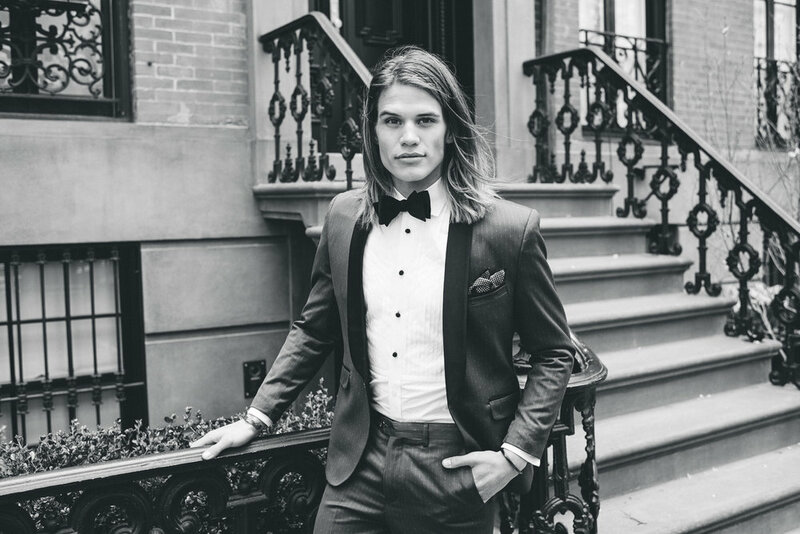 Our "groom" William Hawkins, was the perfect Classic Groom Remixed model exuding the feeling of West Coast gent meets the NYC big city. The West Village served as the perfect back drop for our shoot giving the urban but elevated feel that we were looking for. Although an early spring day, the temperatures made it feel more like a frigid January day, but we made it through! Rounding out our amazing team for the day was the talented Chi-Chi Agbim of Two Twenty Photography, Lily Montemarano on men's grooming, bow ties by MR BALDWIN STYLE Groom Shop, and tuxedo pieces and the feature African print jacket provided by clothier Eaden Myles. Check out the images below. We hope you enjoy!